Together with authenticity and empathy, Nashmia Khan, M.S. genuinely values the therapeutic relationship. Nashmia strays away from the “one-size-fits-all” perspective and works in collaboration with clients in their individualized process of change. Nashmia brings forth the strengths of each client throughout the therapeutic process, highlighting their resilience and capabilities. Having a multicultural background, Nashmia understands the importance of remaining culturally aware, and has experience working with diverse populations being that she is bilingual in English and Spanish. 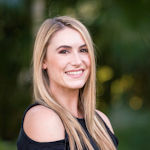 Nashmia is a master’s level clinician, having graduated from Nova Southeastern University’s Marriage and Family Therapy program, after earning her B.A. in Psychology from Florida Atlantic University. Nashmia’s dedication in working with individuals, couples, and families demonstrates her ability to connect with clients in a warm, non-judgmental, empathic, and supportive manner. Coming from a behaviorist background, Nashmia provided in-home ABA services to children with ADD and ASD. It was then when she realized the importance of not only working with the child, but incorporating the family system as well. 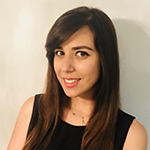 In Nova Southeastern University, Nashmia worked at the Brief Therapy Institute where she provided individual, couples, and family therapy which further solidified her passion for this field. If you have any questions/concerns, feel free to contact Nashmia by phone at the main number or by email at nashmia@miamicounseling.com.